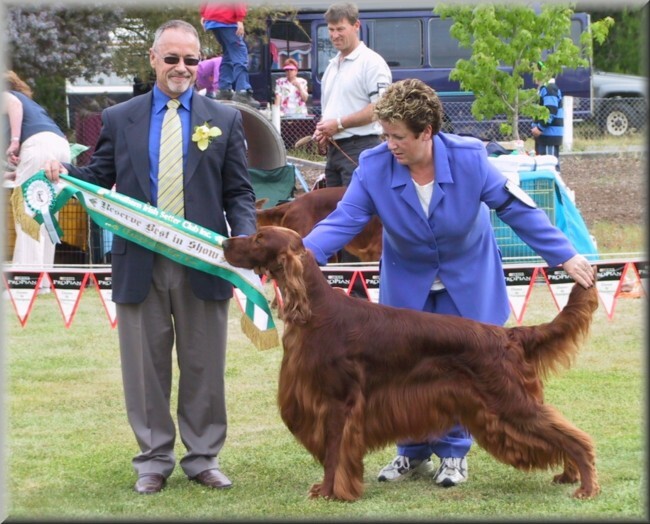 Best In Show & Best in Specialty Show winner, Kent, commenced his show career in Australia with Andrea Best before joining the Doyle family in New Zealand. He is fondly remembered as ‘the old bugger’ who had a tail that never stopped wagging and his pushy way of ‘body slamming’ to get your full attention. A cool, wonderfully natured dog, one who would smile and who was without a mean bone in his body will be missed by the extended Doyle family. Our 5 year old granddaughter loves being with Kent … he leans against her and nearly knocks her over, but as expected he does not have a mean bone in his body.